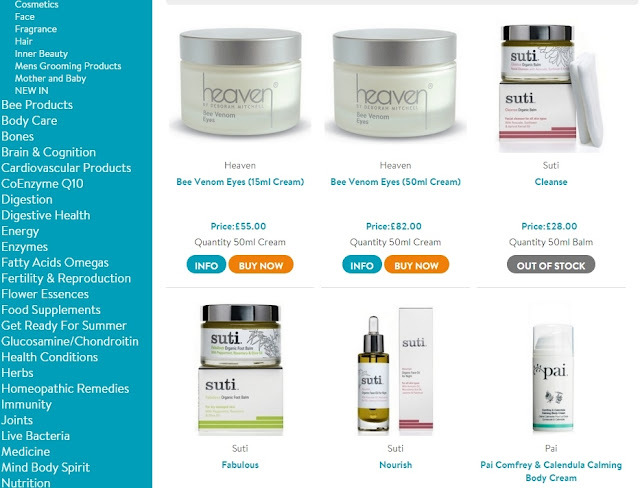 Looking after our Skin is so important, although it can sometimes be a tad tricky to find the perfect Skincare product that is just right for us. If you're looking for a natural all over Face and Body nourishing Beauty Oil then look no further. The Jason 5,000 I.U Vitamin Beauty Oil is a natural antioxidant that prevents damage from all kinds of weather and can also be applied to sunburned Skin. I love keeping my Skin super soft and this Oil does just that. With ingredients such as Almond, Apricot, Avocado, Sunflower and Wheat Germ, it definitely has your five essential natural oils. What I love about this product is that I can reapply the Oil whenever I want. I have been using this product for a few days now and I'm pretty impressed, rubbing the Oil into my Skin feels divine. This amazing Oil is available from NutriCentre who are the UK's biggest supplement and wellbeing retailer, as well as being part of Tesco. They sell all natural products free from Parabens, Artificial Colours, Petrolatum, SLS, Phthalates and Synthetic Fragrance. NutriCentre have a wide range of Products so pop over and have a look. Don't forget to follow them on Twitter & Facebook. You can also read their Blog here. *Thanks to NutriCentre for gifting me the item. It sounds like they have a great line of products there. It's so important to take good care of our skin and make sure it's healthy! I have such a difficult time trying to find products that aren't too harsh on my sensitive skin. This looks like a good line of products - I will have to check them out. It can be tricky finding the right products but for me I look for all natural ingredients and this product seem right up my alley. Vitamin E has worked well for me in the past. I need to try this brand. I like using natural products on my skin.